Currently in its fifth edition (DSM-5), the Diagnostic and Statistical Manual (DSM) is sometimes referred to as the therapist's bible. Within its covers are specific diagnostic criteria for mental disorders, as well as a series of codes that allow therapists to easily summarize often complex conditions for insurance companies and other quick-reference applications. This method offers a number of advantages, such as standardization of diagnoses across different treatment providers. But increasingly, mental-health professionals are considering the drawbacks, including the possibility of over-diagnosis. A 2011 article on Salon.com boldly proclaimed, "Therapists revolt against psychiatry's bible." In order to understand the debate, it is first necessary to understand what the DSM is and is not. Although its roots are traceable to the late 19th century, the standardization of mental illness classifications really took hold in the years immediately following World War II. The U.S. Department of Veterans Affairs (then known as the Veterans Administration, or VA) needed a way to diagnose and treat returning service members who had a wide range of mental health difficulties. Using much of the terminology developed by the VA, the World Health Organization soon released its International Classification of Diseases (ICD), sixth edition, which for the first time included mental illnesses. Although this work represented some of the earliest standards for mental health diagnosis, it was far from complete. In 1952, the American Psychiatric Administration (APA) published a variation of the ICD-6 specifically designed for use by doctors and other treatment providers. The DSM-I was the first of its kind, but experts agreed that it still needed work. DSM-II, released in 1968, fixed some design flaws, including the use of confusing terminology and lack of clear criteria for distinguishing between some disorders. The DSM-II also expanded the work. Published in 1980, DSM-III represented a radical change in the DSM structure. It was the first version to introduce such now-common elements as the multi-axis system, which considers the client's entire psychological profile, and explicit diagnostic criteria. It also removed much of the earlier versions' bias toward psychodynamic, or Freudian, though in favor of a more neutral approach. Although the DSM-III was a pioneering work, real-world usage soon revealed its flaws and limitations. Confusing diagnostic criteria and inconsistencies led the APA to develop a revision. Some of these changes were based on changing societal norms. For example, in the DSM-III, homosexuality was classified as "sexual orientation disturbance." By the late 1980s, however, homosexuality was no longer seen as a disorder, although anxiety and distress about sexual orientation were. The DSM-III-R, released in 1987, fixed many of the internal difficulties of the earlier work. Published in 1994, the DSM-IV reflects numerous changes in the understanding of mental health disorders. Some diagnoses were added, others subtracted or reclassified. In addition, the diagnostic system was further refined in an effort to make it more user-friendly. The DSM-5, published in May 2013, reflects another radical shift in thinking in the mental health community. Diagnoses have been changed, removed or added, and the organizational structure underwent a major reworking. 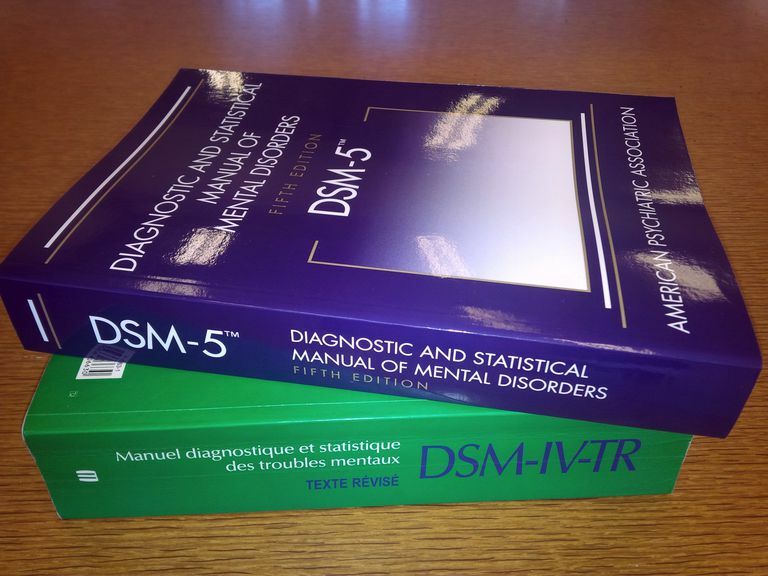 Unlike previous editions before it (which had decades between editions), the DSM-5 is expected to be revised more regularly with mini additions (such as the DSM-5.1, DSM-5.2, etc.) in an effort to be more responsive to research. Every therapist uses the DSM in his or her own way. Some practitioners rigidly stick to the manual, developing treatment plans for each client based solely on the book's diagnoses. Others use the DSM as a guideline—a tool to help them conceptualize cases while focusing on each client's unique set of circumstances. But in the modern world, virtually every therapist finds herself referring to the DSM's codes in order to bill treatment to insurance companies. Health insurance is an extraordinarily complicated field, and a standardized set of codes allows insurance adjusters and therapists' billing offices to speak the same language. Beyond the standardization of billing and coding, the DSM provides a number of important benefits to both the therapist and the client. Standardization of diagnoses helps to ensure that clients receive appropriate, helpful treatment regardless of geographic location, social class or ability to pay. It provides a concrete assessment of the issues and assists in developing specific goals of therapy, as well as a standard of measure in assessing the effectiveness of treatment. In addition, the DSM helps guide research in the mental health field. The diagnostic checklists help ensure that different groups of researchers are actually studying the same disorder—although this may be more theoretical than practical, as so many disorders have such widely varying symptoms. For the therapist, the DSM eliminates much of the guesswork. Proper diagnosis and treatment of mental illness remain an art, but the DSM diagnostic criteria serve as a sort of guide map. In the age of brief therapy, a clinician may see a specific client only a handful of times, which may not be long enough to delve fully into the client's background and issues. Using the diagnostic criteria contained in the DSM, the therapist can develop a quick frame of reference, which is then refined during individual sessions. The latest round of criticism seems to echo a long-running debate on the nature of mental health. Many critics of the DSM see it as an oversimplification of the vast continuum of human behavior. Some worry that by reducing complex problems to labels and numbers, the scientific community risks losing track of the unique human element. Possible risks include misdiagnosis or even over-diagnosis, in which vast groups of people are labeled as having a disorder simply because their behavior does not always line up with the current "ideal." Childhood attention deficit and hyperactivity disorder (ADHD) is often singled out as an example. Shifts in terminology and diagnostic criteria between DSM-II and DSM-IV coincided with a massive upturn in the number of children on Ritalin or other attention-enhancing medications. Other risks involve the possibility of stigmatization. Although mental health disorders are not viewed in the negative light that they once were, specific disorders can be perceived as labels. Some therapists take great care to avoid attaching labels to their clients, although for insurance reasons, a specific diagnosis may be required. Despite growing concerns by some segments of the mental health community, the DSM remains the standard for diagnosis of mental health conditions. Like any other professional manual, however, the DSM is designed to be used as one of many tools for proper diagnosis and treatment. There is no substitute for professional judgment on the part of the therapist. It is important to interview potential therapists as you would any other service provider. Ask questions about the therapist's background and therapeutic approach, and choose the one whose style best melds with your personality and goals for therapy. In recent years, some mental health associations have published supplemental handbooks that attempt to address some of the DSM's drawbacks with more specific diagnostic criteria relevant to the association's school of thought. For example, five associations teamed up to create the Psychodynamic Diagnostic Manual, or PDM, in 2006. That particular handbook is geared toward therapists who practice psychoanalysis, but others focus on different psychological theories. The goal of the handbooks is to delve more in-depth into individual differences that might affect clients with the same overall disorder. If you have doubts about the DSM, ask your therapist if he or she uses any supplemental diagnostic tools. If you have any concerns about your diagnosis, ask your therapist for more information. Finding the right therapist can be challenging, but the rewards are well worth the trouble. DSM: History. American Psychiatric Association. DSM-V Development. American Psychiatric Association. Waters, Rob. "Therapists Revolt Against Psychiatry's Bible." Salon. December 27, 2011.